Eddie Hearn has revealed that talks have taken place about staging a world heavyweight title fight featuring Anthony Joshua in Africa – 42 years after the Rumble in the Jungle. Muhammad Ali and George Foreman clashed in perhaps the most famous ever boxing match, and one of the greatest events in all of sports history, at the 20th of May Stadium in Kinshasa, Zaire back in 1974. And now Hearn says Joshua may defend his IBF heavyweight title on the same continent having held preliminary discussions about taking the Londoner to either Nigeria or Ghana to fight. We want to make him a true global star so boxing in places like Africa will be central to that. Joshua, full name Anthony Oluwafemi Olaseni Joshua, comes from a family of proud Nigerians and has the outline of Africa tattooed on his right shoulder. During an exclusive interview with TRUE Africa last year, before he had won the world title, Joshua spoke for the first time about his wish to one day lace up the gloves in Africa. Now, it seems, that the prospect is closer than ever. Hearn said: ‘People from both Ghana and Nigeria have reached out to us about Anthony boxing there. I have seen videos of Joshua fans from Africa and he has really made an impression in Africa already. ‘And he loves the idea of it. You can have a good career and win titles but it is doing something different, being involved in ground-breaking fights, which is what will make you remembered in years to come. ‘We want to make him a true global star so boxing in places like Africa will be central to that. ‘There are loads of conversations: Oman, Nigeria, Ghana, China, Dubai. These are all either governments or tourist boards who have come on to try and stage an Anthony Joshua fight. ‘That is of massive interest to us, providing we can get the right model and the right security on the numbers. 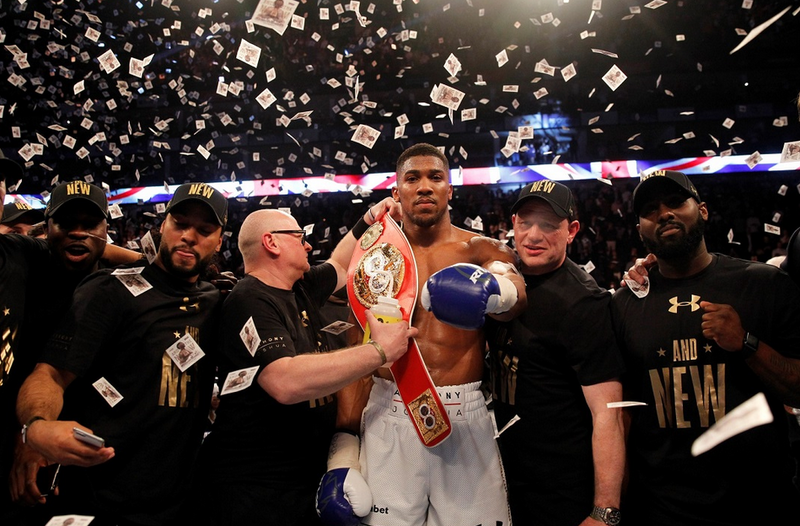 Joshua won the IBF title by knocking out Charles Martin in the second round to claim the American’s world championship belt at London’s 02 Arena. Fewer than three months later, Joshua was back at the same venue to stop another American, Dominic Breazeale, in the first defence of his title. For now, the 26-year-old is expected to continue his reign similarly close to home, with London or Manchester the two most likely destinations for the next stop on the Anthony Joshua road show in November. He added: ‘We have a plan set out at the moment and we are looking at London or Manchester in November and then hopefully a big outdoor show in London, possibly Wembley next summer. After that, who knows? ‘As far as the next fight goes, there are three names in the frame. Joseph Parker, who is our mandatory challenger, Bermane Stiverne or Kubrat Pulev. ‘In fact I spoke to Parker’s team at the weekend and they seem like very nice people who have a clear plan in place. I don’t think they are rushing to fight Anthony Joshua because they feel like their man will get better with time.